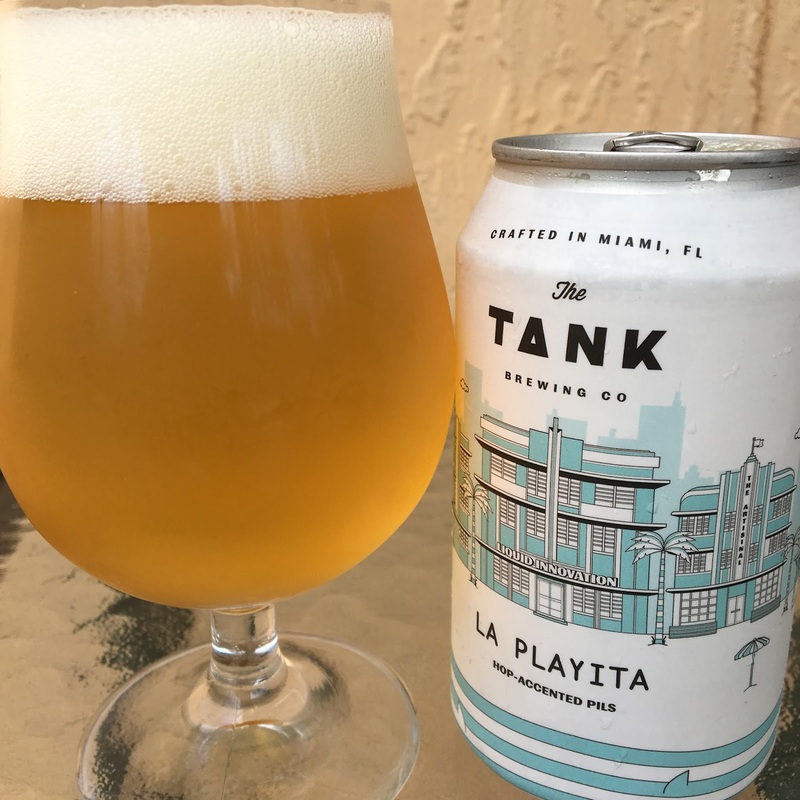 Local Miami Brewery The Tank recently started distributing a few of their beers locally. 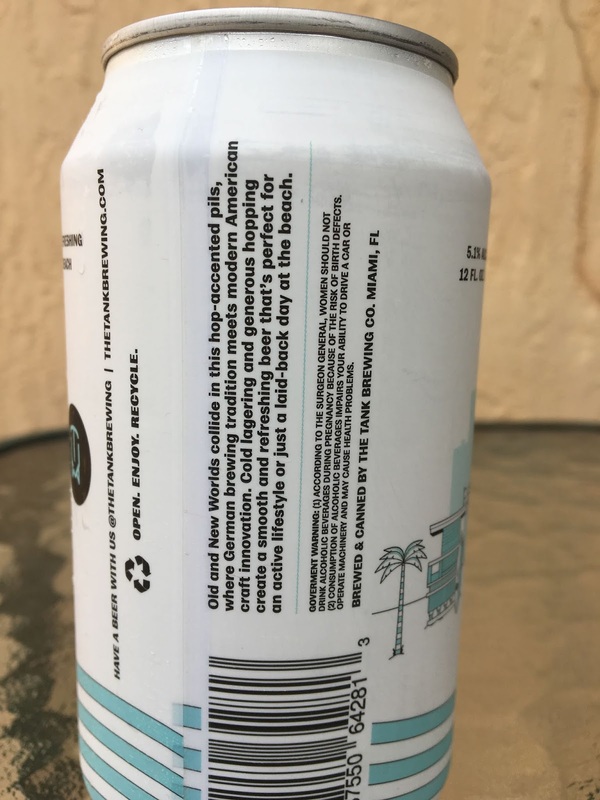 Freedom Tower Amber is packaged in puzzling 11.2 oz bottles while La Playita Hop-Accented Pils comes in 12 oz cans. Both were priced around $12 for a sixer, so they better be stud beers for super-local, low alcohol beers. Faint aroma, lightly lemony, hoppy and floral. Nice flavors, fruity apple and light sweet graininess meet some floral hoppy bitterness. Super balanced! Not sure I'd call this a "Hop-Accented Pils." I mean, of course there are hops in this beer, but to offer that extra description should mean a much more pronounced hops character. And honestly that is what I wanted more of: a spicy bitter bite. That said, La Playita is simple, refreshing and flavorful.